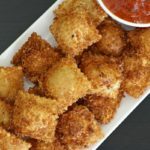 These Fried Ravioli are perfectly poppable and shareable as an appetizer or game day eat, but filling enough to serve with a salad for dinner. Pasta is a regular staple in our house; I think I could eat it every single day. 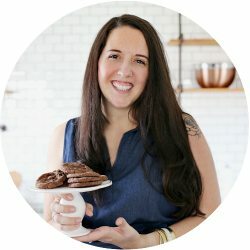 It’s no secret that I love it; I’ve shared over a dozen of our favorite pasta recipes here and even have a free pasta eBook. I love switching it up with out of the box ingredients or methods so that we don’t get bored of the same spaghetti and sauce variation. 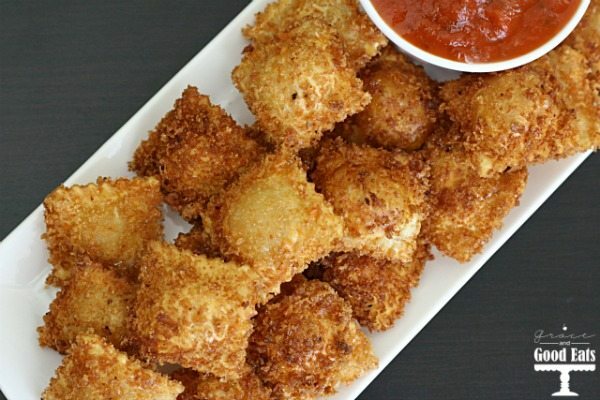 These Fried Ravioli are deliciously crunchy little pillows of cheese goodness. 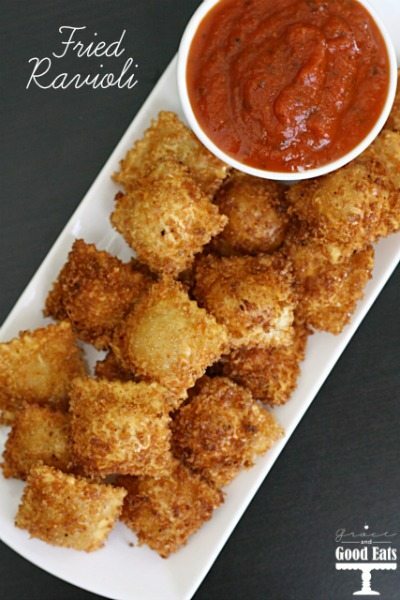 Almost like a lighter, bite-sized mozzarella stick. 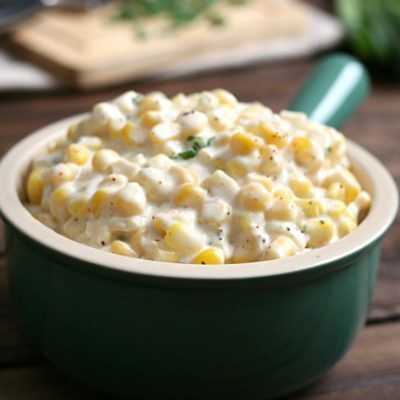 Perfectly poppable and shareable as an appetizer or game day eat, but filling enough to serve with a salad for dinner. 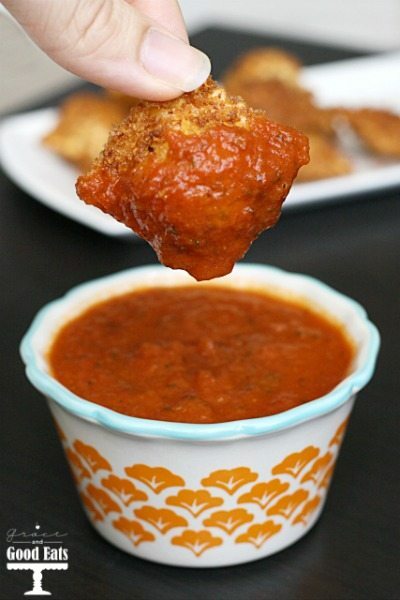 The kids are always excited about any opportunity to eat with their fingers and love to dip their bites in sauce. 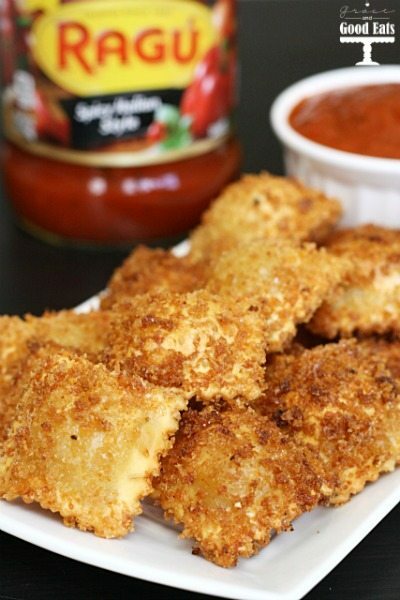 The Ragu® Spicy Italian Style is one of my favorites from their line of sauces and is the perfect pairing for these Fried Ravioli. It’s a definite win around our family dinner table. Let the ravioli and eggs come to room temperature. 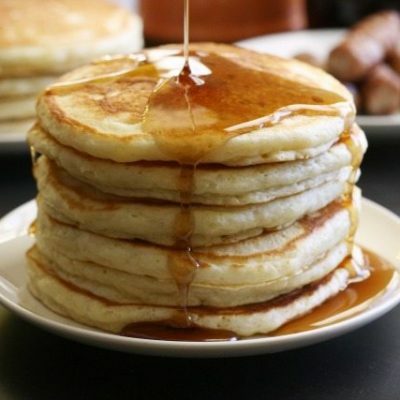 Pour about 1in oil in a large frying pan; heat to 350 degrees. Use a fork to break the feta into small, uniform crumbles. Mix the feta, breadcrumbs, and Italian seasoning together in a shallow bowl. Whisk the two eggs together in a separate shallow bowl. Dredge each ravioli in the eggs and then in the breadcrumb mixture. Set each coated ravioli on a wire rack. Repeat until all ravioli are coated. Fry the raviolis for about 3 minutes, flipping half way through. Take them out when they are nicely golden brown on each side, they will puff up slightly. No, don’t put the pan in the oven. The reference to 350 degrees should be what the oil needs to be when heated on the stove. 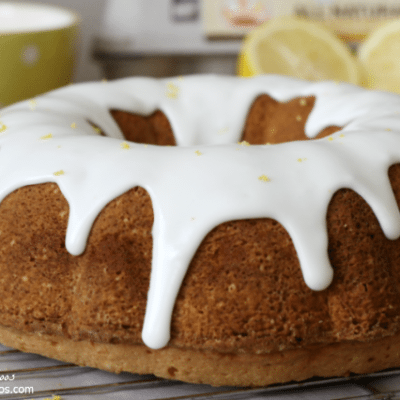 You can use a candy thermometer or the like to test the oil. Hope this helps! They’re called “Toasted Ravioli” here in St. Louis and almost every restaurant serves them. You can also buy them at grocery stores in the frozen food section. We love them!! No, just use them fresh from the package. They will cook in the oil. 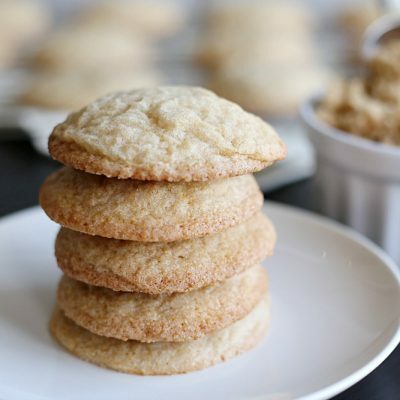 Can you make these ahead of time and heat them when ready to serve? Hi Cathy- I’ve never tried that. I think you could, but they might not be as good. :/ I don’t think they would be as crunchy reheated. I might try making them ahead and then keeping warm in the oven at a low temp instead of microwaving. Hope this helps! I’ve wanted to try these for a long time. Thank you!